I have a lot of trouble listening to The Beatles. I can’t begin to guess how many times I’ve heard each recording. Five hundred? A thousand? Two thousand? But I do know that my ears are inured to the music, rendered deaf by familiarity. There was a period when I’d try to listen obliquely—with headphones, volume cranked way up to hear every crinkle in the voice, one channel of the stereo version. But for decades now, I listen to The Beatles infrequently. Even the new remastered boxed set. I have listened to some, and yes, it really is remarkable, the cleanliness and clarity. But the intimate familiarity with the music is so much stronger than the new light being shed that again, it’s not new enough for me to really hear it. Every note is hardwired into my brain. On occasion I’ll play a song in my brain, sort of like a portable jukebox. “Hey, how about ‘Not a Second Time’?” Press B13 in the temporal lobe, there it is. A 2:12 aural clip inside my head, just like on the record. So all we can do most days is to take a step back. ‘In My Life’ is one of my favorite songs on one of my favorite albums (“Rubber Soul”, the American version). I’m not unique in this. Rolling Stone ranked it 23rd in its list of “The 500 Greatest Songs of All Time“. In a 2000 Mojo magazine poll it was voted the best song of all time by a panel of songwriters which included Paul McCartney, Brian Wilson, Lamont Dozier, and Carole King. The song was recorded on October 18, 1965. Lennon sings it, double-tracked. They left the middle part empty, and John asked George Martin to play a piano solo, suggesting “something Baroque-sounding”. Martin wrote a quasi-Bach line that he found he could not play at the song’s tempo. On 22 October, the solo was recorded at half-tempo (one octave lower) and tape speed was doubled for the final recording, solving the performance challenge and giving the piano solo a unique, harpsichord-like timbre. 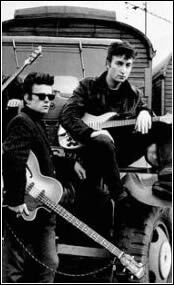 According to John’s old pal and biographer Pete Shotton, the lines “Some are dead and some are living/In my life I’ve loved them all” referred to Beatle Stuart Sutcliffe (who died in 1962) and to Shotton himself. 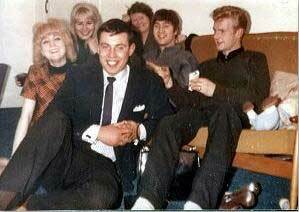 [In the picture here, you can see an unknown girl, Cynthia, Nigel Wally, Aunt Mimi, John and Pete Shotton (right)]. But for us, it has become the anthem of nostalgia, the emblem of wistful reminiscence. Ironically, though, John rejects a maudlin clinging to the past. What in fact matters is his new love, the lover addressed in the song, she who is real, alive and present. That may not be profound, but it sure is heartfelt and moving. According to McCartney, it’s one of only two songs whose authorship he and John disagreed about. John says he wrote it all (except for the piano solo), McCartney says he wrote most of the music. The other disputed song is ‘Eleanor Rigby’, which John said he had a hand in writing. But of course it’s John’s song, through and through. I’m not a big fan of any of Lennon’s solo music, and I don’t understand why people would play ‘Imagine’ or ‘Workingclass Hero’ on his yahrzeit. John’s music died when The Beatles broke up. (If you think that’s cruel or harsh, it was John who said, “Elvis died in the army”). 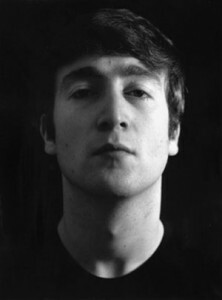 ‘In My Life’ is quintessential John. It’s what he’s all about– melodic and passionate and naked. Lest I wax soppy, let me add that I’ve always thought that The Beatles misinterpreted this song. One of two cases (the other being ‘Help’) where an introspective song was revved up (and cheapened) to be better suited for AM radio. ‘In My Life’ is way too fast, too noisy, too choppy (Ringo at his worst with his boomachukka drums and intrusive cymbals). 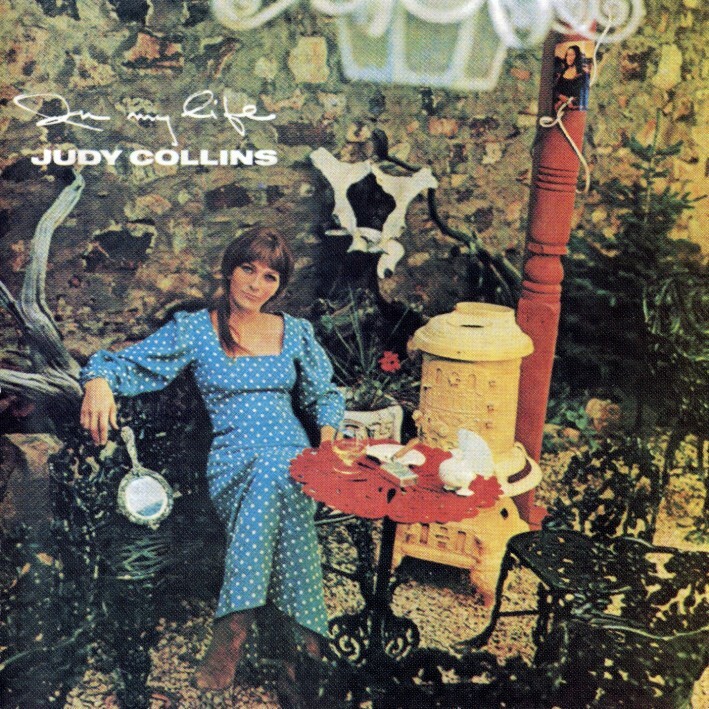 Strange as it seems, I’ve always felt that this song was really nailed by a singer I don’t have too much admiration or respect for, Judy Collins. In 1966 she made an album called “In My Life”, which was quite groundbreaking at the time for the megahit version of gravelly newcomer Leonard Cohen’s ‘Suzanne’, and for its terrific covers of Richard Farina’s ‘Hard Loving Loser’, Dylan’s ‘Tom Thumb’s Blues’, Donovan’s ‘Sunny Goodge Street’, and especially the then-unknown Randy Newman’s ‘I Think It’s Going to Rain Today’. Hard to realize today, but giving ‘pretty’ renditions to Dylan, to Cohen and to The Beatles wasn’t at all common. Her versions are very respectable, and hers was one of my first encounters with Randy Newman (way before his first album). But she was really on the mark with ‘In My Life’ (attached here). She captures perfectly the gentleness of Lennon’s composition, which the Beatles quite miss. Here’s her very lovely version. But despite that, our SoTW is of course The Beatles. They’re the masters, the ones who created the soundtrack of our youth. And even when they’re a little off the mark, they are the monoliths. None of ‘us’ can listen to the song, look at a picture of John Lennon, and not shed a tear inside. In Gerard Manley Hopkins’ “Spring and Fall”, a ‘young child’ named Margaret is weeping at the sight of falling leaves, too young to understand the source of “sorrow’s springs”. Hopkins tells us, “It is Margaret you mourn for.” So when we weep at this song, we’re weeping for our losses, our irretrievable past. But if we really take the song seriously, we should focus on the ones we’re with, the ones we love. I just read your latest SoTW, #072, and hit the link to #53 where you discussed the Beatles “In My Life”. That is definitely one of the greatest songs and a favorite I dance to with my wife of 45 years. 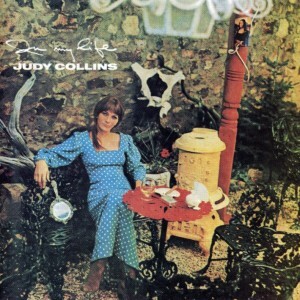 The Judy Collins version is really nostalgic and emotional in the tempo she used coupled with the clarity of her voice. What is your take on the Sean Connery version? It almost seems like he’s holding back the tears towards the end of the song. Check out “In My Life,” by Chantal Kreviazuk. Her cover of R Newman’s “Feels like Home” is also pretty special. One of your best but I must disagree. I think The Fab 4 + 1 got it just right. How old were they when they wrote/recorded this song? In their 20’s? Perfect tempo for that mind-set. You’ve had some experiences, some loves, some loses. But not a lot. Judy Collins’ version reminds me of Sinatra’s version of “I Did It My Way”. I must state that your negative side with respect to Ms. Collins is a bit overdone. In addition, Lennon had a number of terrific solo recording. #9 dream and Jealous guy were excellent pieces of work. Watching the Wheels and his songs on Double Fantasy were all well done. Woman was excellent if you can free your mind of Yoko. I am no Lennon lover mind you, just an observer. I thought Pauls solo contributions were far more problematic. Light, Airy and lacking for substance. Neither gave us a glimpse of the past in their work. Harrison, at least we had The Traveling Wildebeest. There were some fun things there.